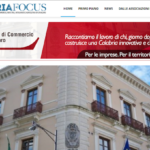 Sito web Calabria Focus – Mediaservice S.r.l. © 2009-2018 Mediaservice S.r.l. – All Rights Reserved.